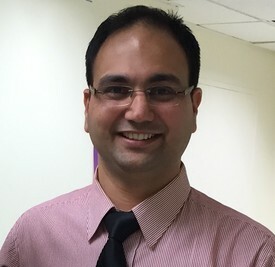 Dr.Singh completed his DDS from University of the Pacific in San Francisco. He graduated as Valedictorian and was inducted into OKU, TKO and Phi Kappa Phi Honor Societies. He practiced general dentistry for two years and then later went to University of Washington, Seattle to earn his Masters in Endodontics. During his residency, he conducted research on root canal instruments. Dr. Singh strives for the highest standards of endodontic care with compassion, warmth, and a personal touch for all patients in need. Dr. Singh is married and has two children. In his spare time he likes to spend time with his family, cook and be outdoors.